The line source cabinets CXA has been designed for both touring and permanent installations. The CXA-12 units can be flown either horizontally or vertically, from a single element to a combination of a maximum of four cabinets in array. 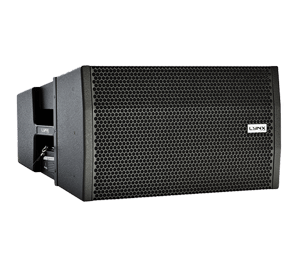 The CXA-12 is a high output, two way, full-range constant curvature line array element. This powered cabinet (class D switch mode power supply) is intended as a flexible solution for both fixed installations and touring, specially for small to mid size venues where wide coverage is required from as few line array elements as possible. The power module integrates 1400W Class D amplifier with a DSP which optimize all the system and provides total protection with maximum efficiency. Since the cabinet has a vertical coverage of 18º, line arrays with 4 cabinets offer 72º in the vertical plane. Thanks to its careful construction it can also be installed for symmetrical HF dispersion. The CXA cabinets include class D amplification, with switching power supply and 1400W of amplification each. The integrated amplification far exceeds the transducers’ needs thus resulting in high output, high damping factor and extremely low levels of distortion. 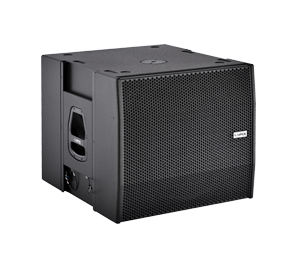 The CXA series are designed to offer quick and easy set-ups with no need for external amplification racks. The CXA cabinets are controlled by the latest generation of Digital Signal Processing with a DSP integrated in to each cabinet. This DSP, with 56bit internal processing and double dynamics optimizes all the system components and electronics, providing maximum system efficiency and total protection whilst significantly and noticeably lowering distortion. Every box comes with different presets which include a basic full-range preset, various crossovers and a flat preset so that the user can adjust the parameters manually.